Sealed bids/proposals will be received by the City of Fulton at the Office of the City Clerk, City Hall, 18 East 4th Street, Fulton, MO 65251, until 3 p.m. (unless otherwise noted) on the dates indicated below for furnishing the City of Fulton the commodities and/or services listed. All sealed bids received by 3 p.m. on the date of closing will be read at a public opening shortly following the closing time at Fulton City Hall. To insure that all information is received in a timely manner, vendors are encouraged to register with the City of Fulton’s purchasing agent by filling out the form below or calling 573-592-3140. Contractors for construction projects can register with Jeanie Buschjost by filling out the form below or calling 573-592-3160. Current opportunities offered by the City of Fulton are listed below. Download and view bid documents by clicking on the appropriate link in the “Bid No.” column. All documents are in PDF format. The City of Fulton posts surplus items on GovDeals.com periodically. 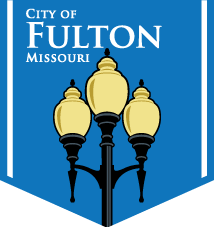 Contractors seeking bid books for City of Fulton construction projects must fill out the form above if you have not already received notification.